The HTC Butterfly will be landing on the Indian shores sometime this month while the Sony Xperia Z will follow close behind at an undisclosed date. Both are touted to be high end phones to be looked out with excellent features and a fab design. We’ll let our compare declare the winner between the two phones. The Xperia Z has the same old brick design that has been carried forward from the previous Xperia phones with dimensions 5.47 x 2.80 x 0.31 inches and weighing 146 gms. The HTC Butterfly has a sleek rounded off back, a very modern feel with dimensions of 5.63 x 2.78 x 0.36 inches weighing 140 gms. Both phones have similar dimension though HTC appears to be slightly broader and thicker. 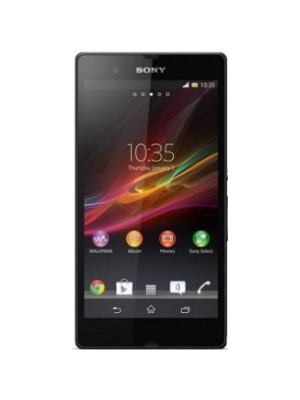 The Xperia Z is a waterproof phone, giving it a major design advantage over most phones in the market including the HTC Butterfly. The HTC Butterfly has a 5 inches Super LCD 3 capacitive touch screen and Xperia Z offers a 5 inch TFT capacitive touch screen. Both phones have the same display size at 1080 x 1920 pixels, and 441 ppi pixel density. With TFT power consumption is lesser than LCD and image can be seen on the screen from a 180 degrees angle as well giving Xperia Z and advantage. Both phones come with Android OS, 4.1 (Jelly Bean) that can be upgrade to 4.2Jelly Bean putting them on an even footing in this department. Both phones are powered by Qualcomm Snapdragon S4 Pro quad core CPU with 2GB of RAM making them equal heavyweights. Sony smartphones have always had the best camera on board. The Xperia Z has a 13.1 MP rear camera offering 4128 x 3096 pixels, with features like autofocus and LED flash, video recording at 1080p@30fps with continuous autofocus, video light, video stabilizer and HDR. The Butterfly, on the other hand, has 8 MP rear camera offering 3264x2448 pixels, with features like autofocus and LED flash, video recording at 1080p@30fps with stereo sound recording and video stabilization. The front camera for both phones offers 2.2 MP with 1080p@30fps. Both the phones offer Geo tagging, Face detection, image stabilization. Both phones have internal memory of 16GB that is expandable via SD card up to 32GB. Both the phones have non removable batteries. While the Butterfly houses a Li-Po 2020 mAh battery, the Xperia Z has a Li-Ion 2330 mAh battery which gives longer talk time and stand by. Both the phones have more or less similar features in every aspect. However, Xperia Z’s waterproof feature makes it a very viable product. At a heavy duty price of Rs. 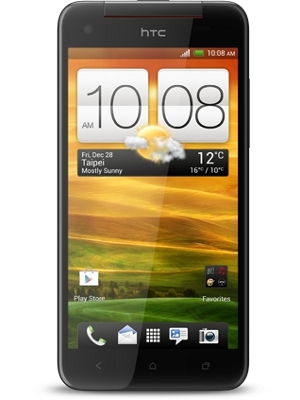 44,000, HTC Butterfly is the most expensive phone in the Indian markets just now. Users will have to wait till March to really make their choice. Author Bio: The article is written by Sanjay Kumar Negi, working with 91Mobiles.